Well you knew it was coming, so here it is. Charles Ramsey's songified news clip called "Dead Giveaway". Check it out after the Jump. 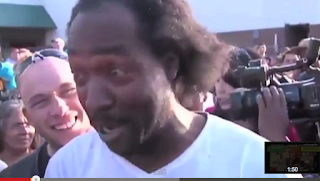 Charles Ramsey, the guy who helped rescue Amanda Berry, her daughter and her friends. Here is his songified news clip. Too Funny!